In celebration of Francois Couperin’s 350th anniversary, this program includes his sumptuous trio sonata L’Impériale, and a performance of one of the masterpieces of French baroque music, his surviving three Leçons des Ténèbres, for two sopranos, viola da gamba and basso continuo. To download/view the programme page, noes, texts and translations, click here. François Couperin, as an admirer of the Italian violinist-composer Corelli, wished to reconcile the pervasive musical styles of the time, French and Italian, through his collections of trio sonatas, ‘Les Gouts-Réunis’ and ‘Les Nations’. explaining the differences between the two national styles at the turn of the eighteenth century. Although Couperin is best known as a composer of harpsichord music, he also composed extensively for small ensembles throughout his career. The set of pieces entitled ‘Les Nations’, composed over a period of 35 years, are works in which the virtues of both the French and Italian styles are set next to each other. Each of the four ordres celebrates a power of Europe – France, Spain, Italy and Piedmont – and each is a combination of an Italianate trio sonata, with its free-form virtuosity, and a large-scale and elaborate French dance suite. Couperin’s surviving church music is a complete contrast to that which was usually performed at Versailles, closer to the Italian music of Carissimi and his French pupil Marc-Antoine Charpentier than to the motets of Lalande and Lully. The ‘Trois Leçons de Ténèbres’ were amongst the small amount of Couperin’s ecclesiastical music that was published during his lifetime. The name ‘Tenebrae’ probably refers to the darkness that gradually spread during the service. Fifteen candles, fitted on a triangular frame, were extinguished one by one until Matins ended in darkness. The text, from the Lamentations of Jeremiah, was traditionally sung at Matins on Maundy Thursday, with other sections of the Lamentations performed on Good Friday and Holy Saturday, making a total of nine Leçons. It was normal to advance the office of Matins on these days to the previous afternoon, which explains the heading on the three published Leçons of ‘pour le Mercredy’. Couperin’s Leçons are intensely personal, depicting Jeremiah’s bitter anguish in settings that are quite unique. The sections of declamatory ‘récitatif’ and arioso are descendents of the ‘tragédie lyrique’, but Couperin also adheres to tradition in setting the ‘incipits’ in plainsong formula, and in setting the Hebrew letters of the alphabet that punctuate the text as melismas. The contrast of these flowing sections with the main text, amongst which the melismas sound almost nonchalant, is a deliberate act on Couperin’s part: the letters act as a poignant foil to the overt expressiveness of Jeremiah’s lament. Each Leçon ends with Jeremiah’s words to the people of the Holy City: ‘Jerusalem, turn to the Lord your God’. The music has, within its own self-imposed limits, an intensity and power rarely found in baroque sacred music. Aleksandra began her musical road studying violin and piano. She later turned her attention to singing and eventually graduated with distinction from the Music Academy in Poznan (Poland) in the class of Wojtek Drabowicz and continued as a student of postgraduate studies at the University of Music Franz Liszt in Weimar (Germany). She now has an established international career as a solo and ensemble singer, working regularly with leading groups and conductors such as Philippe Herreweghe (Collegium Vocale Gent), Jos van Veldhoven (Nederlands Bach Vereiniging), Stephan MacLeod (Gli Angeli Genève), John Duxbury (Cantatio), the Wroclaw Baroque Orchestra, as well as with conductors including Christophe Coin, Václav Luks, Yves Corboz, Andrew Parrott, Ivan Fischer, Giovanni Antonini, Skip Sempé, Daniel Reuss, Alexander Weimann, Christoph Spering, Peter Neumann and Michael Willens. 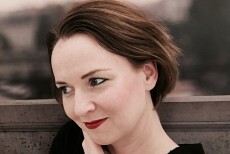 Aleksandra has been a guest artist at festivals including Musikfest Bremen, Bachwoche Stuttgart, Thüringer Bachwochen, Festival Oude Muziek (Utrecht), Early Music Vancouver, Festival de Saintes, Lumine Voice Festival of Lofoten, Kulturwald Festspiele Bayerischer Wald and Wratislavia Cantans. Though mainly a specialist in earlier repertoires, Aleksandra also now performs contemporary repertoire with enthusiasm (notable collaborations include projects with the Swiss quartet, Quatuor Sine Nomine). Emma Hannan, soprano, is a native of Vancouver, BC, and is known to local audiences for her many performances with the Victoria Baroque Players including the Bach’s St. John Passion, Handel’s Dixit Dominus, and Bach’s Jesu meine Freude. She has been featured as a soloist with such groups as the Victoria Pacific Baroque Festival, Theatre of Early Music, Toronto Consort, and Toronto Masque Theatre. Emma is also a member of Tafelmusik Chamber Choir. Past highlights include the touring Northwest Baroque Masterworks Project Praetorius Vespers with Early Music Vancouver, Castor in Toronto Consort’s production of Cavalli’s Helen of Troy, and the dance-opera, Bearing, which premiered in the 2017 Luminato festival. As a recording artist, she has sung on the Sony Classical album Four Thousand Winter and on Tafelmusik’s recent recording of Beethoven Symphony no. 9. Last October, Emma joined Toronto Masque Theatre for their final season in their double bill of Purcell’s Dido and Aeneas and Aeneas and Dido by James Rolfe. Emma is a graduate of the Victoria Conservatory of Music, where she studied with Nancy Argenta and Ingrid Attrot. She recently completed her BMus in Voice Performance at the University of Toronto and is now studying with mezzo-soprano Laura Pudwell. Emma is an alumna of the Victoria Conservatory Advanced Oratorio Course and the Tafelmusik Baroque Summer Institute. La Modestine was formed in 2016 by four renowned musicians who discovered that playing together was one of their great joys. La Modestine’s repertoire focusses on music of the Baroque for one or two violins, viola da gamba and basso continuo. Members include Marc Destrubé, Natalie Mackie, Linda Melsted and Michael Jarvis. of many outstanding ensembles, including Tafelmusik, Portland Baroque Orchestra, Pacific MusicWorks, Pacific Baroque Orchestra, and Freiburg Baroque Orchestra. Linda is the featured soloist in Tafelmusik’s documentary “Le Mozart Noir”, and has recorded for Sony, ATMA, Classique, and Harmonia Mundi. Linda’s true love is chamber music. She has performed with many ensembles in chamber music series from Toronto to Seattle including Early Music Vancouver, Gallery Concerts, Northwest Showcase, Camerata Musica, Folia, Discovery Island Music Festival, La Primavera, and Toronto Music Garden. She is co-founder of the chamber ensemble sound|counterpoint (www.soundcounterpoint.org) as well as the Cosi Quartet, a classical oboe quartet, and the Salish Sea Players (www.salishseaplayers.org), a group dedicated to bringing early music to retirement and nursing facilities in the greater Seattle area. Linda is also a cat lover and shares her home with three cute kitties-Gus, Gerome, and Kalli. Linda performs on a Nicolo Amati violin. Natalie Mackie studied cello at the Conservatoire de Musique (Québec), followed by a degree from the School of Music, University of British Columbia. While at UBC, she began studying viola da gamba as well, and later pursued further studies at the Koninklijk Conservatorium in The Hague. Natalie has played with many ensembles in Canada and the U.S., including New World Consort, Les Coucous Bénévoles, Tafelmusik Baroque Orchestra, Seattle and Portland Baroque Orchestras, Les Voix Humaines, Les Voix Baroques, Tempo Rubato, Oregon Bach Festival Orchestra, Victoria Baroque Players, Vancouver Intercultural Orchestra, and others. She has toured throughout Canada, the U.S. and Europe, playing in cities such as New York, Boston, San Francisco, at London’s Wigmore Hall, Paris, Cologne, Strasbourg, Utrecht and Bologna, among others, and has recorded for Radio France, German Radio, BBC, CBC, and NPR, as well as the Canadian label Atma Classique. She plays violone, viola da gamba, and occasionally baroque cello, in Pacific Baroque Orchestra, and the Bach Cantata Project players, and frequently appears in Early Music Vancouver’s summer Festival. Natalie also has a passionate and abiding interest in new music and performs newly commissioned works both as a soloist and with the ensembles of which she is a member. 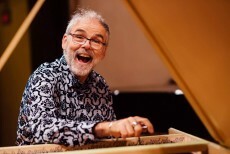 Michael Jarvis has been called one of Canada’s finest harpsichordists, fortepianists and continuo players, and is in demand as a collaborative artist. He may be heard on Marquis, Hungaroton, ATMA, and Naxos CDs, as well as London Records, and has broadcast nationally for the CBC and in the US on NPR. Michael hosted three specials on Bravo-TV: “A Baroque Christmas”, “A Baroque Easter” and co-hosted the13-part series on 19th-century domestic music, “Come into the Parlour”. He conducted in Toronto the premiere of the 12-tone opera “Cassandra” by Vancouver composer Ian McAndrew to rave reviews in Opera Canada. His performing editions of 17th/18th century choral and organ music have been published by GIA, Chicago. He has taught harpsichord at the University of Toronto, Wilfred Laurier in Waterloo, and Havergal College, Toronto, and fortepiano at UBC. Recently he has worked with violinist Paul Luchkow in an exploration of the Classical/Romantic sonata repertoire. Their recording of Hummel Sonatas (a Western Canada Music Award nominee, on a fortepiano from 1800) for fortepiano and violin/viola is available on Marquis Classics. His forthcoming CD on the Marquis label, the complete sonatas for harpsichord and violin (on mythological themes), op.25 by Michel Corrette, is currently in post-production. Michael lives in Victoria, BC. The passionate artistry of violinist Linda Melsted has won the hearts of audiences across North America, Europe, and Japan. She has appeared as soloist, member, and leader of many outstanding ensembles including Tafelmusik Baroque Orchestra, Freiburg Baroque Orchestra, Portland Baroque Orchestra, Seattle Baroque Orchestra, Pacific Baroque Orchestra, and Pacific MusicWorks. Linda is the featured soloist in Tafelmusik’s TV documentary, DVD, and CD “Le Mozart Noir,” where she musically incarnates the remarkable 18th-century virtuoso and adventurer, the Chevalier de Saint-Georges. 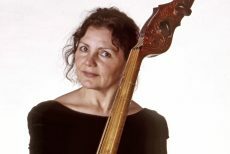 An active chamber musician, Linda has appeared on many series including Early Music Vancouver, Gallery Concerts, Primavera Concerts, Bloomington Early Music Festival, the Calgary Symphony’s Italian Music Festival, Folia, Toronto Music Garden, Quadra Island Discovery Chamber Music Festival, and Tactus. Linda was a member of Tafelmusik 1992-2004, Music Director of Nota Bene Baroque Orchestra, 2005-2009, a regular guest leader and soloist of the Kitchener-Waterloo Symphony Orchestra’s Baroque and Beyond series, and taught violin at the University of Waterloo. Happily back in Seattle since 2010, she formed the Salish Sea Players, a group dedicated to performing chamber music in retirement and nursing facilities and directs Seattle’s community Baroque orchestra, the New Baroque Orchestra. Linda performs on a Nicolo Amati violin from 1670. Newly-moved to Victoria, Michael Jarvis is one of Canada’s finest harpsichordists, fortepianists and continuo players and is in demand as a collaborative artist. In addition to performing across Canada, he has performed as soloist and continuo player throughout the USA, England, Italy and Bermuda. Michael Jarvis may be heard on the Marquis Classics, Hungaroton, ATMA, Naxos, Solitudes and Avalon CD labels, and has often broadcast nationally and regionally for the CBC, as well as nationally across the US on NPR. He and violinist Paul Luchkow’s CD of Hummel’s op. 5 violin sonatas was chosen as a finalist as best classical album of the year in the Western Canadian Music Awards 2013. His most recent CD with Paul, Michel Corrette’s Sonatas for Harpsichord and Violin, Op. 25 (on mythological themes), was released to excellent reviews on the Marquis CD label in Spring 2017. Michael was featured on two national Canadian television specials for Bravo: “A Baroque Christmas” and “A Baroque Easter”. He was also co-host and star of the 13-part television series “Come into the Parlour” for Bravo-TV. He was recently appointed conductor of the Bach on the Rock chamber choir and orchestra on Salt Spring Island. He has taught harpsichord and continuo and lectured many times at the University of Toronto. He has taught harpsichord performance at Wilfred Laurier University in Waterloo, Ontario and at Havergal College, Toronto, and taught fortepiano at UBC. When he is not playing early music, Michael is an avid collector of early jazz and early opera 78 rpm recordings and is an early phonograph restorer. Michael lives in Victoria, BC.